“You can never get a cup of tea large enough or a book long enough to suit me“. So said C.S.Lewis and while one small cup of tea a day is plenty for me, I do feel sad when a good book is finished. My real love will always be children’s books, the feel of the paper, smell of the ink, the weight of a hardback in my hand, and the charm and colour of the illustrations. There is nothing quite like a feast of Enid Blyton, Roald Dahl or Edward Lear to keep me happy, except maybe my little people to read them to. 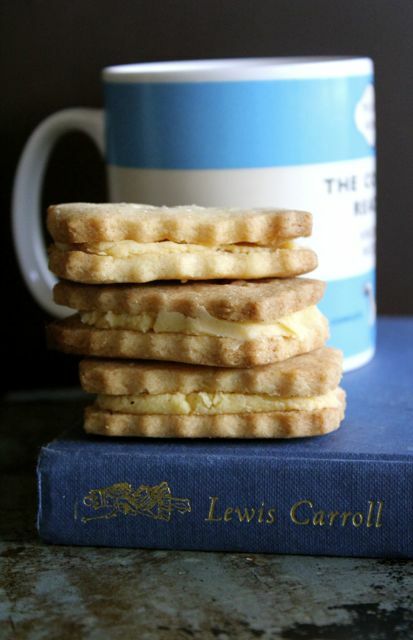 A good book demands tea and the accompaniment of a proper biscuit. These are the most proper of all biscuits, the classic custard cream. They are great to make with children as they are so easy, quick and fun. They taste so much better than the packet ones and they are another way for me to use up the big canister of custard powder I have been left with after Aunty Angela’s unexpected septuagenarian romance allowed me to purchase the wretched stuff. For those of you wondering, custard powder is basically just cornflour (cornstarch) and a touch of yellow food colouring and can be substituted for same. Preheat the oven to 200C/fan 180C/gas 6. Cream together the butter and sugar, sift in the flour and custard powder and bring together with the vanilla essence until a roll-able dough is formed. Alternatively combine all ingredients in a food processor, and then form the dough by hand. Flour a surface and roll out dough to roughly 6mm thickness. Press your choice of cutter in to the dough, ensuring there is a duplicate of each shape you cut. Place shapes on a baking tray, greased and floured). Remove and cool on a wire rack. Beat the icing sugar and vanilla together in a bowl with a wooden spoon. Sift the icing sugar and custard powder together and beat gradually into the butter, and then use to fill the custard creams once they are cool. Place a bit on the bottom of one biscuit, and sandwich with another on top. Once set the custard creams can be stored in an airtight container for up to a week. They look absolutely gorgeous! Beautiful pics! Will have to hide the tin of custard under my organic tinned tomatoes in the shopping trolley, the shame!!!! 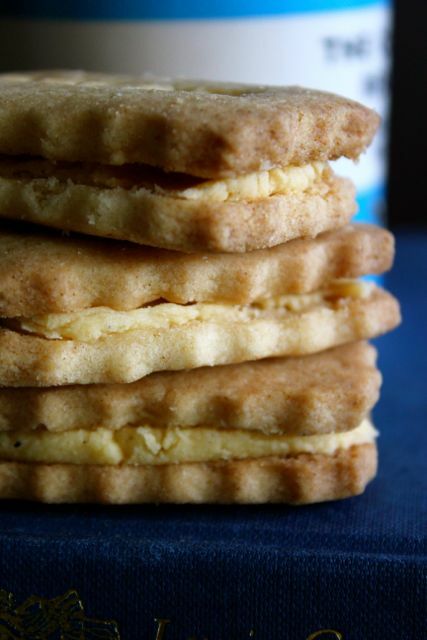 We live shamelessly on custard in this house and will be making a daily batch of these fine-looking biscuits. Custard and battenburg – it is true what they say about you costal dwelling types, then. 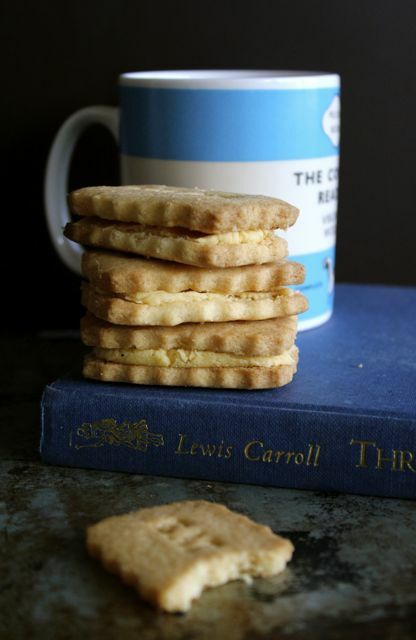 A book and a biscuit – sounds like my idea of heaven. Love the cookie stamp! We have so much in common. Who knew? There are so many books to read and teas to drink and so little time. these look great. wish i had some now! Hi, I just started making these and realised that there are only 3 biscuit ingredients, but in the directions you mention custard powder and vanilla? Is part of the ingredient list missing? Woopsy – amended! The custard powder in the biscuit is mainly for color and they should work without it as they are a basic shortbread dough. Keep a couple of handfuls of extra flour to hand as well until you get a rollable and not sticky dough as there may be differences in Aussie flour from European, as there is with American flour. Thanks for pointing that out, Bel. So cute! These look super tasty. These look lovely! 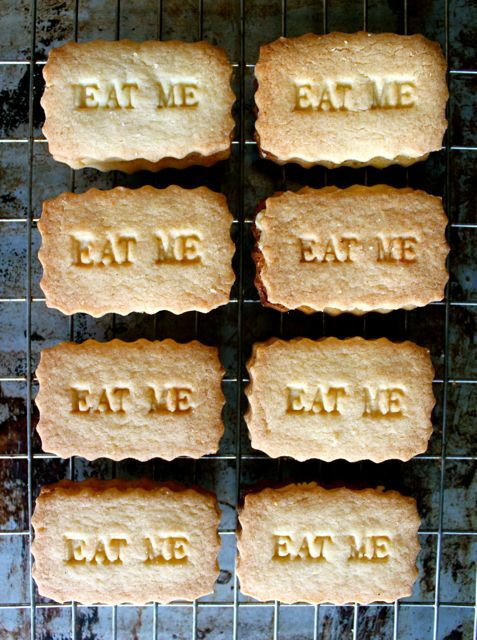 I’ve never tried homemade custard creams before, but definitely want to give these a go.